Waterways Campground is nestled along the shores of the Cheboygan River which offers access to 42 miles of continuous inland waterways. Our onsite boat launch and dock ensures easy access to our magnificent waterway. Guests can enjoy fishing, tubing, kayaking, and boating leisurely along the river. 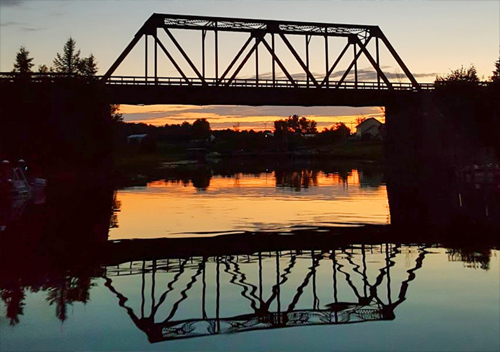 The Cheboygan River is a unique inland waterway that is one of the most picturesque routes in America. Boaters can expect a journey of fresh, pure and clean water through three rivers and three lakes. 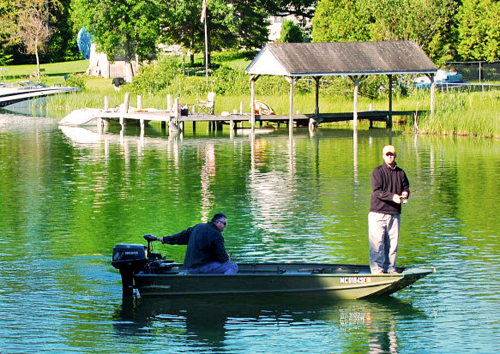 The Cheboygan River can be utilized to travel to Burt Lake, Mullett Lake and Crooked Lake. The average depth of the river is five feet and its width reaches up to 30 feet. It is located just .8 miles from Cheboygan. Fishermen find success in catching a variety of fish including salmon, brook trout, rainbow trout, bass, walleye, and sunfish. Whether you are baitcasting, using spinners or fly-fishing, you are sure to get some great bites here. Michigan Department of Natural Resources makes purchasing your fishing license online easy. Our journey begins relaxing down the river to chilly Mullett Lake. Next boaters can continue down into the serene beauty of Indian River and then Burt Lake. 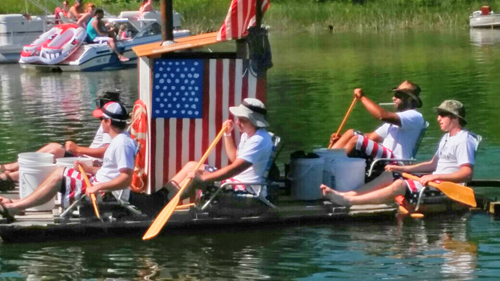 Boaters can continue the adventure and experience the Crooked River and Crooked Lake. The river touches the communities of Cheboygan, Mullett Lake, Aloha, Topinabee, Indian River, Alanson, Ponshewaing, Oden, and Conway. Guests can venture north and visit Cheboygan and eat dinner and shop. The Inland Waterway must be experienced to be appreciated. Its uniqueness and natural beauty are unsurpassed – and no interconnected system of lakes and rivers exists like it anywhere in the world.